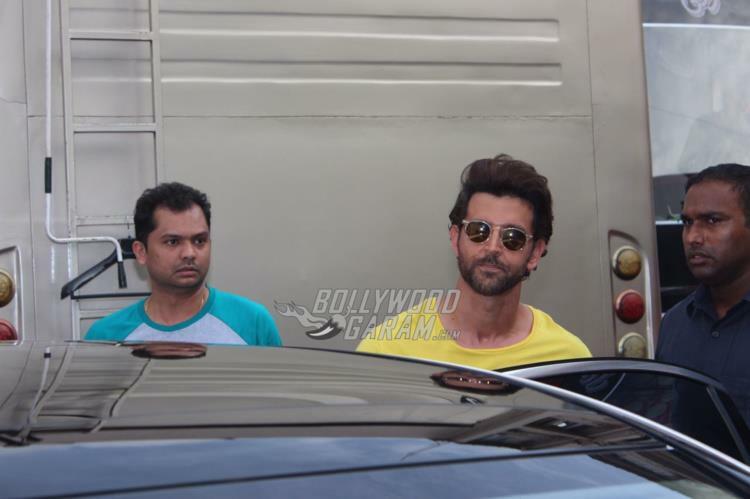 Bollywood star Hrithik Roshan came across lead actors of Bareilly Ki Barfi at Mehboob Studios in Mumbai on August 10, 2017. 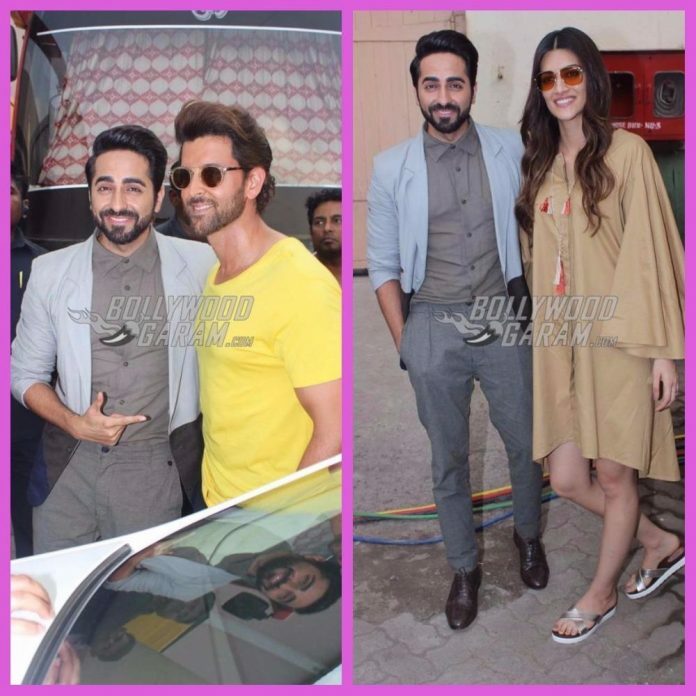 Ayushmann Khurrana and Kriti Sanon, who are currently busy promoting their upcoming romantic comedy, met Hrithik Roshan at the film studio and even posed together for the shutterbugs. Hrithik looked like bright sunshine in a yellow t-shirt and black track pants, while Ayushmann was seen in a promotional mood in a stylish blazer, shirt and a trouser. Kriti later joined Ayushmann and looked pleasant in a brown outfit. The Vicky Donor actor looked excited as he came across the Bang Bang star. 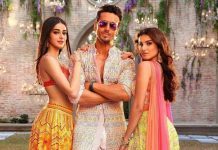 Co-star Rajkummar Rao was missing from the scene, but has been a part of every promotional event which has taken place so far. The upcoming film is about three characters from a small town. Kriti plays an ambitious girl, who is looking for a life partner with broad views. Ayushmann and Rajkummar play the prospective grooms, who are trying their best in wooing their prospective bride. The films is directed by Ashwiny Iyer Tiwari and is ready to be released in theatres on August 18, 2017.